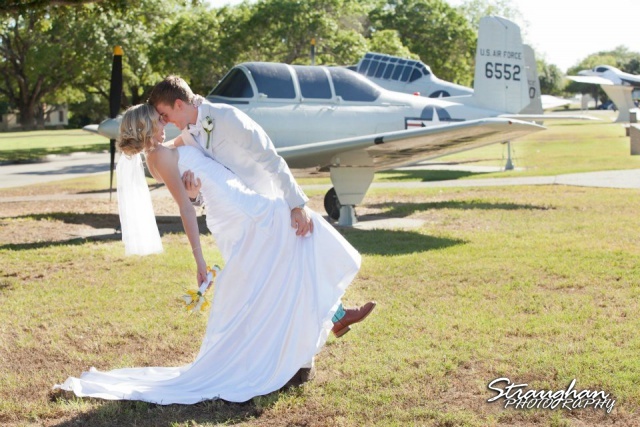 Kathleen and Adam are both in the Air Force, and San Antonio is where Adam is from and where he is stationed now, so this was a natural choice for their wedding. The had the wedding at St Monica’s Catholic church in Converse with reception at outdoor boardwalk at the The Parr club. 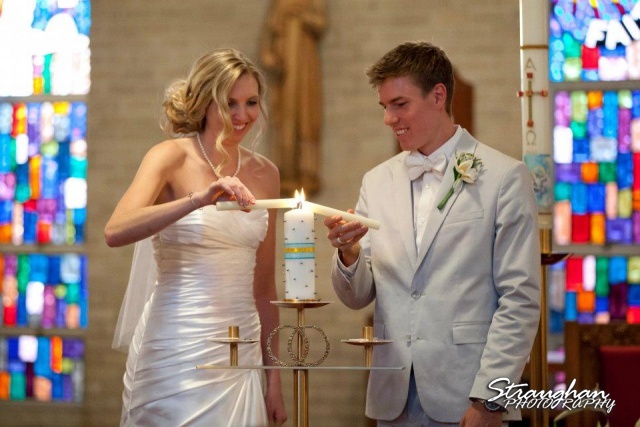 Kathleen and Adam chose a dove gray and pool blue for the wedding colors. Then for the reception they had lots of twinkly lights and wine bottles to decorate the tables. The party was great, and all the guest and family had a wonderful time. They had a great toast then cut the cake, leaving the rest of the night to spend dancing under the stars. 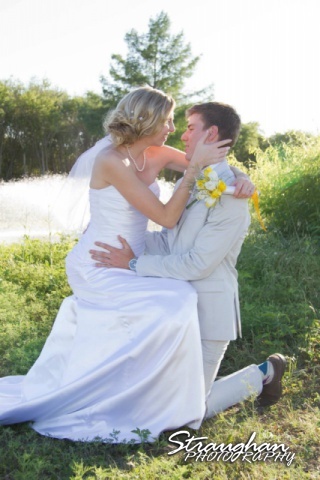 Congratulations to Kathleen and Adam, I love to see them soar off into the future!